BOTOX® Cosmetic is a purified protein produced by the Clostridium botulinum bacterium. It is a nonsurgical treatment that can temporarily reduce moderate to severe frown lines and wrinkles in people 18 to 65 years of age. During treatment, very low doses of BOTOX® Cosmetic are administered via a few tiny injections directly into the muscles that cause those stubborn lines. The treatment is usually done in about 10 minutes, and no recovery time is needed. Within days, you may see an improvement that can last up to 4 months. While BOTOX® is best known for reducing the appearance of wrinkles and fine lines, it is also gaining popularity as a preventative measure against wrinkles on the forehead, between the brows, and at the corners of the eyes. 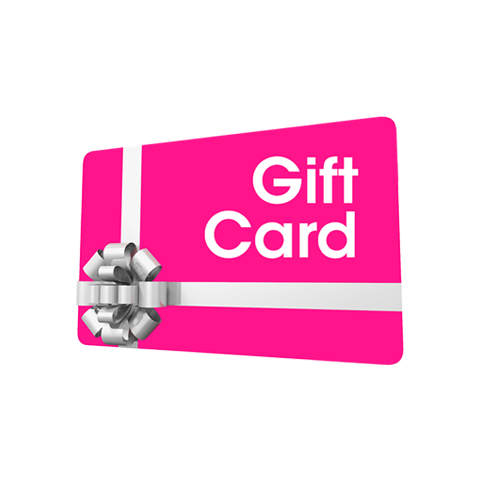 Amerejuve offers free consultations to ensure you are a good candidate for BOTOX® and that it's the best option for achieving your goals. To schedule a free consultation, please call (713) 960-6262 to discuss if BOTOX® is the best option for you. 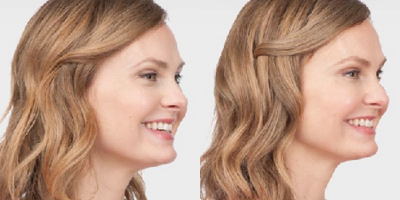 With real, noticeable results, no surgery, and no recovery time, there are many reasons why BOTOX® Cosmetic has been chosen by millions of women and their doctors. Approximately 11.8 million BOTOX® Cosmetic procedures have been administered in the United States since 2002. 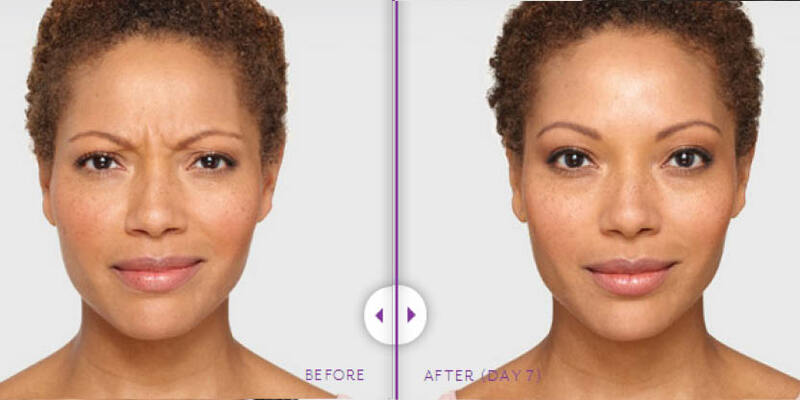 97% of 117 patients surveyed were satisfied with the results of their BOTOX® experience (2,3). Facial Injectables Consumer User Survey; July 2009. Botox works by blocking the transmission of nerve impulses to the injected muscles; this reduces the activity of muscles that cause those persistent lines to form. Some patients report a pinch during the injection itself. If you're concerned about the discomfort, it may be possible to use ice or a numbing cream to ensure minimal discomfort. Can I get BOTOX® with my skin tone? As Botox is injected under the skin, skin tone does not effect your treatment. Any skin tone can be treated with BOTOX® to address wrinkles and lines between the eyebrows and at the corner of the eyes (crow's feet). 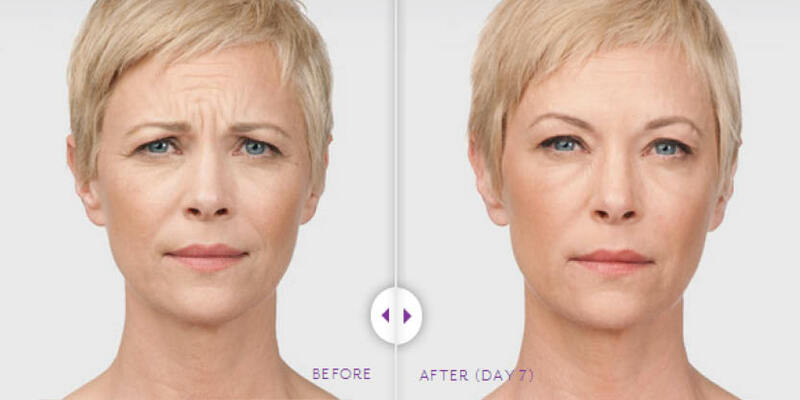 Within days, you may see a marked improvement in the moderate to severe frown lines and wrinkles. Lines continue to improve for up to a month, and results can last for up to 4 months. Results from treatment with BOTOX® Cosmetic can last for up to 4 months. If you discontinue treatment, the frown lines and wrinkles will look like they did before treatment. What is a unit of BOTOX®? A unit is a way to measure how much BOTOX® is injected into the muscle. There are 12 units in a syringe of BOTOX® . Multiple units can be injected at a time. The three most common areas for BOTOX® injections are between the eyebrows, on the forehead, and next to the eyes where "crow's feet" form. BOTOX® can improve your appearance and prevent the formation of deep expression lines that make you look older. 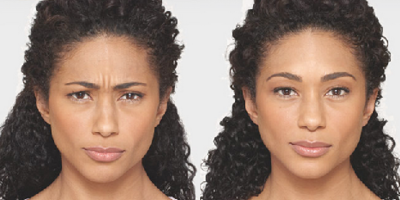 BOTOX® will not help fine lines or wrinkles that are not due to facial expressions. Studies have shown clients who suffer from hyperhidrosis (excessive sweating) can benefit from BOTOX® injections. BOTOX® is administered by injection; it relaxes the muscles where it is injected, decreasing and preventing wrinkling of the skin. 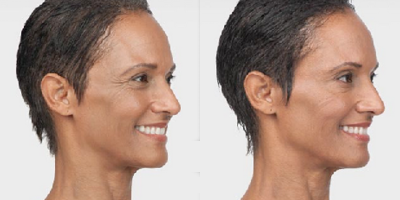 With a skilled injector, the results are relaxed, natural-looking facial expressions. How many units of BOTOX® does it take to get the look I want? It depends on the depth of the wrinkles. On average, the amount for the forehead is 15-20 units, 18-20 units for frown lines, and between 6-12 units per eye for crow's feet. At Amerejuve, it is important for us to ensure a licensed practitioner administers your injections. A licensed registered nurse administers all injectables done at Amerejuve facilities. Our RN's credentials are displayed and available for your convenience. Typically BOTOX® has lasting effects and requires touch-ups anywhere from between 3 to 4 months. Results typically last longer the more frequently BOTOX injections are received as the muscles become trained to respond and relax for longer periods of time. 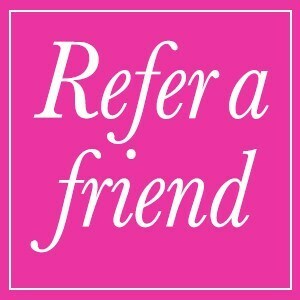 Amerejuve has 10 locations in the greater Houston area, providing flexibility in your treatment schedule. We also offer competitive pricing on all of our services. Because we are a MedSpa that offers a wide variety of services, we are experts at developing a comprehensive treatment plan for all of your aesthetic goals including skincare, body contouring, weight loss, hair reduction, and even cosmetic surgery with a board-certified plastic surgeon. Is BOTOX® safe for men? 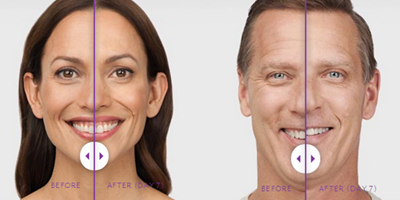 BOTOX® Cosmetic is certainly not just for women. If you are a man and think it's time to do something about those moderate to severe glabellar lines between your brows, talk to an Amerejuve healthcare professional about whether BOTOX® Cosmetic is right for you. 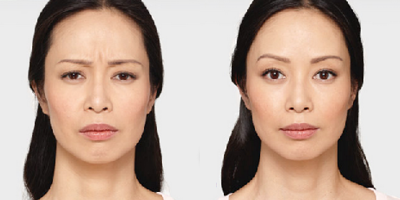 The difference in BOTOX treatments is readily visible. Age lines melt away, crows feet vanish, and your face looks more youthful and lively. Facial expressions are relaxed and natural-looking, and some studies have even shown a correlation between relaxed facial expressions and elevated mood.